Book of Maya gives players an adventurous time to explore the great temple in South Africa. This slot by Novomatic developers gives the player a thrill of finding an unknown temple, discovering buried treasures and exploring inside tunnels. This game with 5 reels, 3 rows and 10 paylines takes you to South Africa to learn about the Maya ancient civilization. This casino slot machine is based on an adventurous journey at the Mayan civilization ruins. It is designed by combining modern and classic graphics and a player-friendly gameplay. Symbols you will get when you begin playing are goddesses, Mayan gods, and pyramids. There are also playing cards which are the lower paying icons in the game. You hit a win by landing three or more matching icons on adjacent reel starting from left to right. It has a Return to Player (RTP) of 96%. At the control panel, the player chooses the number of reels to bet on and the amount of money to wager. There is also an autoplay option which the player uses to have the game run automatically for a given number of times. The betting amounts range between a minimum of $0.4 to a maximum of $100 per spin. 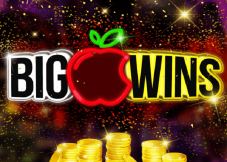 The jackpot amount one can win in this slot is 25000 coins. Free spins feature is the only bonus round in this slot, but it is quite rewarding. This spins will increase your opportunities to get the game’s treasure. It also has a wild that also acts as the scatter icon. The ancient book encrusted with a jewel is both the wild and scatter icon in this casino online game. This icon will replace all other icons to finish a winning combination. It also acts as the games scatter icon and activates the game’s bonus round. Hitting three or more jewel enchanted books on the reels activates this bonus round. Hitting 3, 4 or 5 scatters awards the player x2, x20 and x200 their total bet plus ten free games. A symbol will be selected randomly before the free spins begin. This symbol will expand to fill three positions every time it lands on the reels. This icon will also pay irrespective of where it lands on played lines. There is a small green button at the top right corner of the screen, and it is the Extra Bet feature. Your stake will be multiplied by two when the Extra Bet feature is activated. When a player forms a paying combo with special expanding icons, the reels will be held in place, and inactive reels will start spinning giving them an opportunity to land more special expanding icons. Book of Maya is a high volatile game thus the player get huge wins once in a while. This slot is not only popular for its generous pay but also for the interesting characters and quality used in the design. Play it for free or bet with real money at online casinos. With all responsibility it is possible to recommend to all fans of gambling entertainment, which can be found on the pages of online casinos, a good slot machine Book Of Maya, reliably occupying a lot of time only leading positions. 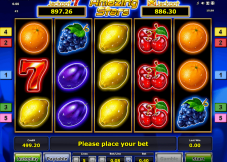 This slot is perfectly decorated with beautiful graphics, as well as realistic soundtrack and although there are no jackpots here, all the same in entertainment there are many ways to work well. Gamers are provided with unique special characters with individual values, as well as many additional auxiliary functions that can help in the loss of winning combinations. 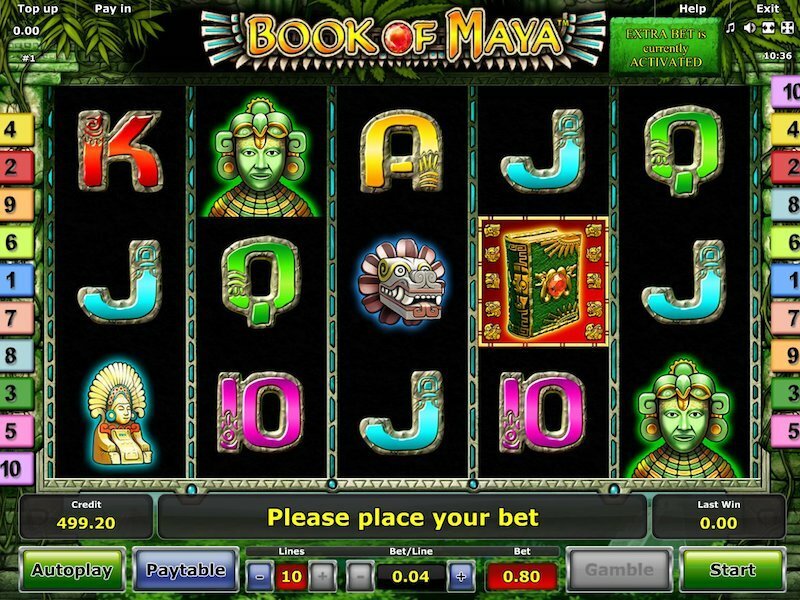 Book Of Maya is a fairly bright, colorful and very original slot. Dedicated to the theme of the east and children as during a relaxing holiday and games bring a holiday and a brilliant mood. The idea with children in the form of symbols of the scatter itself is original. A jackpot for a day can fall several times when developing a competent game strategy. Apparently so the amount of it is so small. On free spins for 20 rounds, and sometimes you can much more wind. But in general, such a nerlock slot. It is quite possible to play. Playing on the exciting Book Of Maya Slot slot machine, every gamer will be able to participate in a real safari for a huge beast, and also get a chance to win the fixed jackpots. This game was developed by the rather well-known company Pragmatic Play, which provides in the slot five very valuable characters with the image of a flamingo, cupid, a crocodile and a big cat. The best paying symbol is the rhino ﾖ when you form 5 such symbols on a payline, you will earn 20 times your bet. A wild symbol is very useful, and it will be cool if the function ﾓFree spinsﾔ becomes possible. The Book Of Maya gaming machine has always been one of those gambling entertainments that, for a very long time, fascinate their admirers and bring them only a great mood and big cash prizes. Such sincere love is connected not only with interesting themes, but also with other important moments: pleasant graphics, excellent functions and good payments. Due to its excellent characteristics, this entertainment is always on top of the preferences of many online casino visitors. In the Book Of Maya slot machine, the maximum payout is available in bonus backs, which are offered in great abundance. Personally, I was first a little disappointed with the interface, I like the brighter and more modern design in the slots, but Book Of Maya Slot is really a decent slot in the online casino due to its generous payouts. I managed to win $ 400, while on the deposit I initially had only $ 20. Luck? Maybe! But it did not stop me and I recently very often play Book Of Maya Slots, because this is really a worthy playground! Iﾒve never played Book Of Maya before and decided to try it first in the test mode! I liked it very much! excellent design, musical accompaniment, there are bonus games and special symbols. At the same time, a very accessible and understandable interface. Great respect to the developer for such a creative idea! The slot machine Book Of Maya, created by the famous company Novomatic, is preferred by gamers, who are obsessed with stories about the legendary leaders of sea robbers. And among the large assortment of exciting gambling on the pages of online casinos, he is always in the lead. The set of functions of this slot consists of standard pictures, jokers, scatters, accumulative jackpot, round for doubling and free-spins with additional multipliers. Also, players are invited to enter the bonus game and try their hand at winning a solid jackpot. It is not necessary to bypass this game past. Well, attention to the unusual system of payment for certain combinations, as well as fairly large coefficients in some cases. In addition, it differs from most other models in the absence of a system of rates in coins, but this, perhaps, is not so important. It is necessary to develop your own strategy of the game, otherwise you can lose a huge amount of money. In general, this is an excellent slot for me! Thatﾒs pity thing but actually I have become interested of person Book Of Maya and his songs only after his death. I really appreciate creative work of this singer and show-man. So that is why I have chosen this slot to play. And it amazed me not just because of its theme or design. Book Of Maya slot is really interesting in terms of gambling and profitability because I have earned with this slot some money yet. So I am continuing to play. Iﾒll see what will be further. For all lovers of gambling from the collections of online casinos, as well as wildlife explorers of America, the spectacular Book Of Maya slot machine, whose plot is the expanses of the shroud with their extraordinary inhabitants, will certainly suit. The gameplay of this game is beautifully decorated with bizarre and interesting graphics with realistic sounds of voices of birds and animals. Players will see here two wild symbols, an opportunity to try to get free spins, as well as bonus rounds and other auxiliary functions with which the gamer can incredibly enrich. Remember your favorite board game Monopoly, which the world-renowned video game company WMS offers you to play on the Book Of Maya Slot slot machine, where you can get great pleasure, positive energy for the whole day, and unforgettable cash prizes. This slot has a large jackpot, so your chances of getting rich here are very high. You will find symbols in the game with familiar images of a train, a car, a hat, a battleship, a dog, a cat and a duck, as well as several new characters. Each of them has its own value and will bring you the corresponding winnings. Finally, you can congratulate all lovers of classical gambling on the pages of online casinos, as there was a very exciting slot machine Book Of Maya from the SG game provider, which immediately became very popular among all advanced gamers. 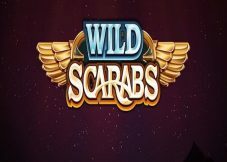 This is a game where the main game features are: Wild, FreeSpins, Jackpot, character replacement wining, Scatter symbols, Feature: Substitution symbols. Very attractive features of the 5 treasures slot are the high-quality design of graphics and sound of gameplay, the eastern, Asian theme of this slot, attracting the attention of players of color on the screen. Perhaps the most fun and interesting slot machine with the theme of life on the farm is Book Of Maya, created by the popular Novomatic for fans of gambling, placed on the sites of many online casinos. Here, gamers can freely spend their time with the benefit for the mood, and also profitably receive their cash prizes. Delight is caused by an amusing plot, colorful symbols depicting the inhabitants of the farm, cheerful music, and also a simple game interface. Here there are wild symbols, as well as various additional functions that help to achieve high results. If you are a hot fan of the products of the well-known company EGT, which can easily be found on the pages of online casinos, then Book Of Maya Slot will be for you the best version of all offers. 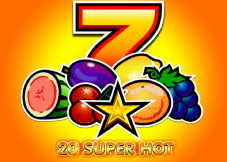 Here gamers have the opportunity to get a lot of juicy prizes, thanks to successful combinations of characters from favorite and common fruits, to win good money in bonus games, and also to take advantage of the very popular Double-It Gamble functions. If you study the rules well and take advantage of all the bonuses provided, then soon in your pocket will be a jackpot of 20,000 conventional units. Now I understand why almost all of my familiar gamers are so eager to play in the thrilling Book Of Maya game, which for them takes a leading place in the huge collection of online casino entertainment. The value of RTP in this entertainment reaches 96.5%, very high betting rates are given, ﾖ up to 3000 coins, there are advantageous multipliers that increase the amounts won at times, as well as each individual symbol has its own price and when a winning combination is formed, this circumstance also plays a role. In addition, if the player is lucky and 5 Wilds fall on the same line, the winning amount will be 6000 units. The game 50 lions is very impressive Itﾒs good that there is an opportunity to play online casinos in Book Of Maya slot1 and on virtual credits, but of course you need to register. The slot machine Book Of Maya free2 has a few very interesting bonus rounds: for example, free games and free spins, so there is an incentive to play. Where, how not at the slot machine Book Of Maya, you can get so much good mood, while winning a certain amount of money? After all, this game is a long-beloved by all gamers the theme of the ancient Chinese style, where it is possible to win one of the four progressive jackpots, and if the luck smiles, then all at once. Only in slot 88 of Fortunes you will be able to get profitable bonuses, special symbols that give players a lot of free spins. The more such rewards, the higher the chances of getting the biggest prize. So thereﾒs nothing to think about, do it more boldly. Win win win win, I win jackpot at Book Of Maya. This is a wonderful feeling of victory. I did not believe that this could happen to me, but this game gave me not only pleasant emotions but also money. True, these fruits are already a little bored. Liked it here that you can start for free. I did not fully understand how fruits from different levels bring profit. But you can win in this game like me. Good luck! Exciting gaming machine Book Of Maya, developed by the well-known company Aristocrat Technologies Inc, has long ago confirmed its reputation and holds the first place among the gambling sites located on the sites of online casinos. Here, players will be able to appreciate the excellent graphics and excellent sound of gameplay, as well as a large number of opportunities for those gamers who want to play for real money. 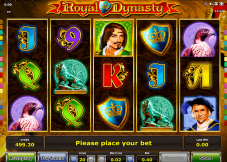 The plot of this slot is based on a mystical island with exotic birds and walking dragons. And a beautiful geisha will meet you and from this moment you can wait for wonderful cash prizes. Who has not tried to play Book Of Maya slot, hurry as soon as possible, because here you are expected to have a good mood, a great time and a lot of prizes won. Thanks to its beautiful sea theme, various exciting effects and also provided bonus round, this slot turns into a real celebration of life with an astounding atmosphere. You will meet with the characters, which depict a large killer whale, and even with folded wild and scattered characters, each bringing its own value. Also for the game adjusts the beautiful design and sound of the gameplay. Playing the online game Book Of Maya Slot, every gamer has a unique opportunity to win a large amount of money. This slot in the casino has not only a very interesting topic, but also quite entertaining bonus features. This game has a Wild symbol (medal) that performs its normal functions. However, the greatest victories are waiting for you in the function of free spins, which activate at least three Scatter Target symbols. Along with free spins, it offers access to the Missionﾒs function. Your task is to guess the number of Plane icons that appear on the screen and have their own multiplier. Start the drums and catch your luck. In the constant search for new entertainments and exciting games, experienced players tend to stop their views on the slot with the sports theme Book Of Maya, which is shared with other slot machines on the online casino. I can share my own positive impressions that arise when combinations are dropped out with excellent monetary winnings. Especially since there is no special experience when playing for break away game. If you are not afraid, put money on the rotation and correctly use all the provided bonuses and opportunities, then you can easily remove the jackpot in 125000 conventional units. Paying tribute to the amazing Aztec empire, you can definitely try to join the Book Of Maya Slot, which in online casinos has always been considered one of the most popular. Surely you will be able to surprise with high-quality graphic design and worthy sound accompaniment of gameplay, bright and thematic symbols, located on drums and having individual meanings, and also given to all gamers to win good cash prizes. If you are able to understand well the work of bonus features and additional auxiliary actions, then sooner or later the jackpot will be yours. Book Of Maya Slot slot attracts with a lot of winning symbols, there are a few scatter symbols and payouts on them are quite high even if playing at a low rate. Also, special attention is drawn to the interface in the style of Book Of Maya and his lunar walk. nice music, in general I like playing and this slot often helps me relax after a dayﾒs work. Find a new real friend in the face of the gay pelican Pete, will help gamers exciting slot machine Book Of Maya Slot, which has recently won a huge appreciation among all online casino players. The creator of this exciting and fun game is the well-known company Aristocrat Gaming and therefore the player will immediately notice a bright enough and sunny design of the game that depicts beautiful beaches and seashore. A pink starfish, a blue anchor, a treasure chest and precious stones, and a splashing purple fish that open on drums often enough and bring you impressive rewards. Also do not forget about other auxiliary functions. I think that the Book Of Maya game is very remarkable, where developers provide an opportunity for gamers to have a good time and at the same time get good winnings. The symbols of the 50 dragons slot represent the eastern story, there are unique functions and all sorts of combinations fall out. A 50 dragons slot machine allows for a spin to bet from 50 to 100 pounds sterling, which can lead to an incredible jackpot. Those gamers who are not bad at playing poker with real cards at ground-based gaming establishments have a very advantageous opportunity to prove their skills in the video version of this gambling entertainment on the Book Of Maya slot machine, where the rules of the game have remained almost the same, but a few new additional support functions. It is possible that playing with the machine, you will manage to achieve even higher achievements and cash prizes, provided that all the rules outlined here and the use of the provided bonuses are observed. Moreover, in the slot Book Of Maya, every gamer feels himself in the most approximate reality. There is nothing surprising in the fact that a large number of experienced players, including a large number of entertainment, which are placed in an online casino, you still choose interesting and exciting slot Book Of Maya, which is different from the rest of the beautiful graphics and realistic sound design. Also here there are wild symbols in the form of images of gold stars that confidently replace and expand any symbols and thereby make the winning combination more possible. And in the power stars slot, the lucky ones win an impressive jackpot, which is 100000 conventional units.